Ek wonder of daar iemand is wat al begin het met ‘n hartmat? Vandag se round-up is gevulde harte. Groot en klein. Enjoy! I wonder if anyone started on a heart rug from the previous round-up? I didn’t even had time to look for my own half finished one. The girls had school athletics on Wednesday and Thursday afternoon and this morning. I am so glad it is Friday. Tomorrow morning I want to sleep late! 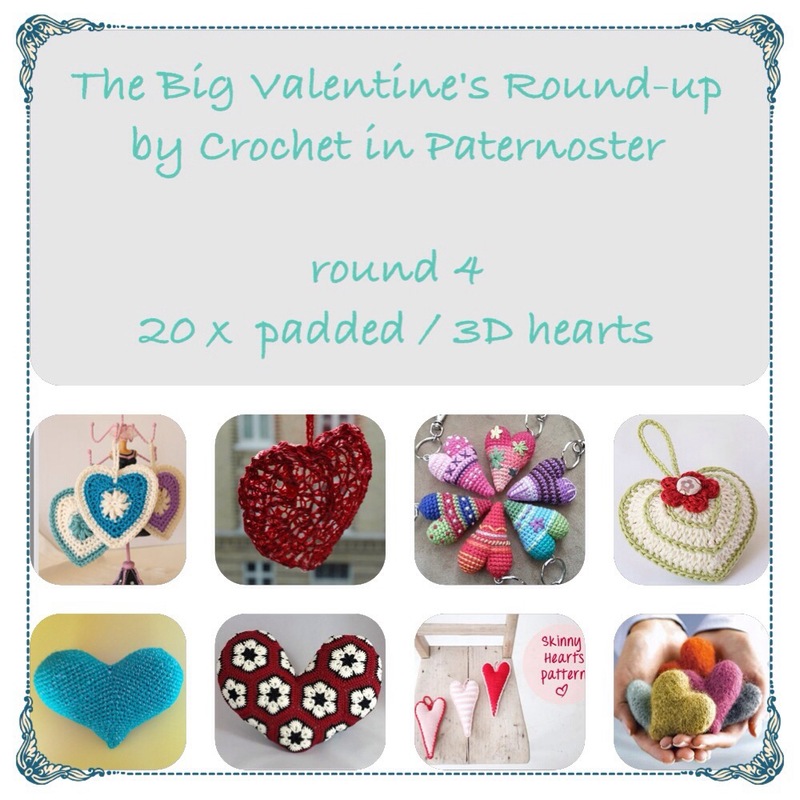 Today’s round-up is padded and 3D hearts. Enjoy! Love this 3D heart tutorial! Next round will be heart baskets and handbags! This entry was tagged #crochetheart, #valentinecrochet, #YarnifiedLoveBomb, crochet pattern, free crochet pattern, free pattern, valentine. Bookmark the permalink. Great and inspirational Round-Up, Anneke! Thank you very much for sharing 🙂 Have a lovely day! thanks Anabelia! I’m having great fun with the round-ups! Gracias! Espero que hayan tenido un buen fin de semana también!